Very happy with the service. Mike was a complete professional. Arrived promptly, gave a quote upfront and did a great job communicating during the whole process. I could not ask for a better experience. TJ w Was awesome. Very courteous and took the time to explain everything. Mike was amazing in every way!!! 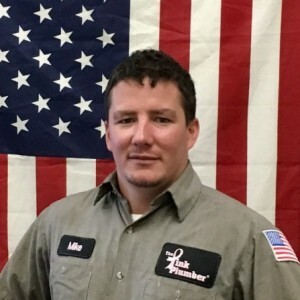 I called on a weekend, Pink Plumber answered, sent a technician who worked well beyond the time expected for the exact price quoted, was friendly, knowledgeable, professional, patient, and so helpful... I would recommend without hesitation... This was a stressful situation which was remedied in the very best possible way, with the utmost of care, and highest quality workmanship... Thank you truly !!! Dominic is very pleasant and very knowledgeable. Very neat and clean....you wouldn’t even know he was here. Had to return because leak reoccurred. He persevered until he found pinhole in the copper pipe. Fixed quickly and efficiently. Dominic is very pleasant and very knowledgeable. Very neat and clean....you wouldn’t even know he was here. Les Crenshaw did a fantastic job in changing our very old water heater. He was very professional, didn’t even take any break in the process as he was very driven in getting the job done and done perfectly in a very timely manner. We now have a piece of mind. Thanks so much for doing an excellent job! Amazing service in quick response for our emergency! Thank you Dave L.! I will definitely recommend Pink Plumber in the future. 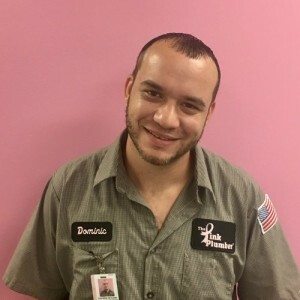 Dominic, from Pink Plumber, came out the same day within hours of me calling in. We had a leak in the wall and it was an obvious emergency. He opened a hole in the drywall on the bottom and couldn't find the leak. Turning on the water showed it leaking from above and he was able to locate a split in the polybutylene hose which goes from that wall to the refrigerator and also located a shut off valve, IN THE WALL. The repair at this time was easy, clipping the hose, reattaching, and turning on the water. He also referred a restoration company that is due out later today. Great job, Dominic! Thanks, Pink Plumber. Very Professional job! Service was excellent. I called for an appointment at 9:30 and a technician was here by 11:00am. Michael M was informative, courteous, polite and knowledgeable. He was was done in a timely fashion. Thanks Pink Plumber I have hot water again! Les did an excellent job. Very happy with his customer service and professionalism. My service was not even an emergency and he showed up in less than an hour. Pink Plumber is a company you can definitely trust and I would recommend it to everyone. Thanks! Michael Mahoney was courteous and very efficient. Michael answered all questions and explain each concern in detail. I highly recommend The Pink Plumber . TJ is always knowledgeable, professional and efficient. TJ is the most courteous and respectful plumber I have ever met. He takes the time to explain and finish a complete job in a very professional way. He cleaned up and left nothing to take care of before he left. Quality work always pays off. The customer service was great, professional and kept us updated with every step. We had a water softener malfunction causing the brine to go into all our water lines clogging our tubs, faucets and tankless water heater. We had no water pressure. TJ and Bill were very meticulous with each line to ensure all the brine build up was cleaned out.. They were able to flush out the water heater so we would not need to buy a new one saving us money. They left every room clean. We appreciate their professional and friendly manners. They did not rush to get the job done but they worked to ensure it was done right. Thank you Pink Plumber for sending these two guys for my problem !! I just had my one year after installation inspection of the two toilets & kitchen faucet performed. The Pink Plumber sent T.J. to do the inspection. This is great because I ask for him whenever I need to have a visit from them. He was able to also point out that both of my single handle shower handles were leaking when the water is turned on. This I didn't notice before he pointed it out. This is the reason that I always request T.J. This will allow me to have these repaired so that I do not have a problem with possible indoor flooding while I am away from the house in the Summer. 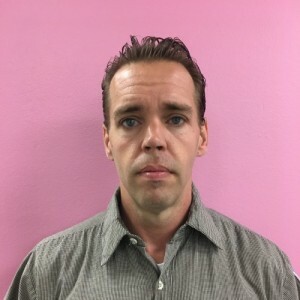 T.J. always takes care of our needs, which is why we always call the Pink Plumber and ask for him for the service call. Service was great, tech very good & neat. Price was outrageous as replacing garbage disposal was priced double, as replaced with like model back in Missouri. TJ was pleasant, courteous and answered all my questions. His work was exemplary and I am ecstatic with the results. We had an emergency and Pink Plumber arrived within 2 hours. JT was very professional, very easy to work with and followed through with everything we needed in a timely manner. He was very knowledgeable and personable. Everything was cleaned up and cleared out before he left. I would definitely use Pink Plumbers services again. TJ was very professional and knowledgeable about installing a gas line in our home. He quickly identified an existing line and was able to complete the job in a short time and without incident. We plan to request TJ to install our gas dryer and washer when it is delivered. TJ is a great representative for the Pink Plumber! Once our gas dryer and washer were delivered, we promptly scheduled and requested TJ. Additionally, we wanted TJ to replace a valve for our gas grill and a spiget used for watering plants. TJ anticipated that the dryer and washer installation would be a tough job because of the very tight space and the fact the unit were stackable. TJ did not waste anytime coming up with a solution to ensure the dryer and washer were installed and without any damage. If it were anyone else, they would have probably walked away from the task. But not TJ, he demonstrated patience and skill getting the job done. Once that was done, he replaced the gas valve for the outdoor grill without issue. The last task, to replace the spiget for the reclaimed water turned out to be very difficult. TJ could not locate the cutoff valve because it was not clearly marked and it was buried more that 3 feet underground. It was getting late and I called the county emergency water service. They stated that it would take 1 - 2 hours before they would arrived. I thought TJ would say he was done for the day, but true to his character, he stated he would stay until they arrived and complete the job. The county emergency team finally showed and it took them another hour to locate the reclaimed water line. Through it all, TJ was courteous, patient and professional. He was able to complete the task of replacing the spiget. 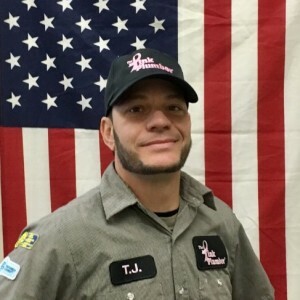 My wife and I can't say enough about TJ, over the years we have had many individuals from different companies provide us with their services, but none come close to the outstanding service provided by TJ representing the Pink Plumber company. If you ever need someone who is honest, professional, able to solve complex problems and is a great guy, then TJ is your man!!! Excellent service. Always polite and extremely knowledgeable about all phases of plumbing. Went above and beyond on the job. Very friendly and professional. TJ did a great job fixing 3 different issues I had in one morning. Was here on time. Very professional. Explained what the problem was. We decided not to do the work at this time. TJ was very professional and knowledgeable about installing a gas line in our home. He quickly identified an existing line and was able to complete the job in a short time and without incident. We plan to request TJ to install our gas dryer and washer when it is delivered. TJ is a great representative for the Pink Plumber! Mr. Thomas Salvato did an excellent job and completed the required repairs in a very efficient manner. 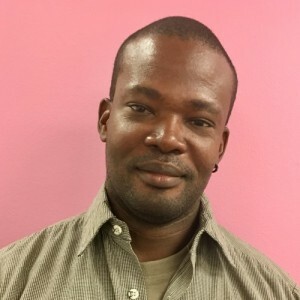 The Pink Plumber Organization has an outstanding employee and should be recognized for his professional customer service. The receptionist that I spoke to on the phone was helpful and courteous, fielding all questions I had and told me that she could get a plumber out to us the same day (having called in the afternoon, this was a huge boon). TJ arrived in a large PINK! van, shook my hand and got right to business. He was helpful, honest and respectful, helping us look for a clean-out and then sharing alternate routes when it wasn't found. When TJ wasn't able to find the solution to our problems, he stayed to point out the issue to the city workers until they pin-pointed the issue and began their own work. He was well-worth the value, as he explained the issue in detail to everyone who asked him questions.